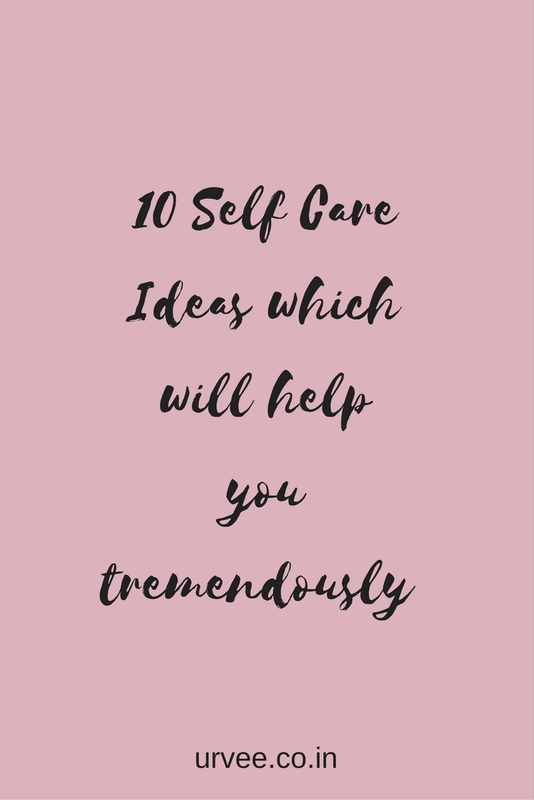 10 Self Care Ideas which helped me. In today’s #TackleItTuesday series I’m going to talk about Self Care. In my previous post Winding Up & Starting Over I mentioned about focusing more on Self Care. After that, I’ve been looking after myself & maintaining the positive mindset which I have currently. It’s really important for one to practice self-care because it just gives a lot of confidence. If you haven’t started doing something for yourself start doing it right now! You’ll thank yourself. Here are some of the ways where I love to have a Me time and zone out completely from the world. No one person can imagine one story in the exact way that’s what makes reading so creative. 3. Go to your Favourite place. One thing which will help you to calm your soul & instantly put you in a good mood is going to places. Go where you feel most alive. I LOVE the Sea & Ocean. It is my happy place. The voice of the water and the salty air just so incredible. If you love to cook or bake just take some time of your day & go for it. It’s alright if you mess up but that’s okay. 5. Have a pamper night routine. Having a pamper routine is a must! Not only it helps you to take care of your skin but also have that relax time for yourself. 6. Play with your Dog. This is my most fav thing ever. Dogs are life. Who doesn’t love a dog? I can go about them all day. 7. Catch up with old friends. Meeting your old friends and reminiscing the memories and all the fun times you had is always a good way to reflect on the memories. Just sitting and talking for hours about yourself, the good times, even about some people LOL. It’s a great way to broaden your relationship. I love this one especially when I’m stressed and unable to sleep. There are 2 apps in particular which I use. One being Aura & other Relax. Both works wonders. Just plug in your earphones set the timer and select the type of calm sound which you want. I obviously go for the sound of Sea or the Ocean. They do have various other sounds as well which are forest, waterfall etc. 9. Watch Youtube Videos & Listen to your Favourite Music. This works for me but I don’t know about you. I love watching videos of my Fav YouTubers while eating a pizza or like cake or ice cream and creating a cozy environment. 10. Have a Digital Detox. I did have a huge break from social media in December which felt simply incredible. After that phase, I realized how much time we actually spend in front of a screen staring it almost 70% of your day and just forget to have an actual conversation with the person in front of you. The comparison is also the worst enemy of yourself, we feel offended or often compare ourselves to one another by viewing their best moments on Instagram & our not so best. I’m guilty of that! Have a small detox, Not necessary to go on a digital break for like weeks but just for 2 days will make a small difference. 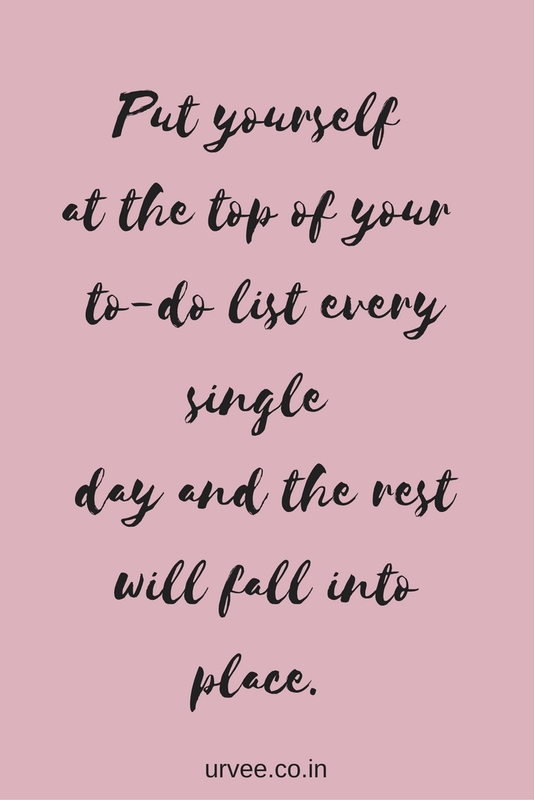 Those were the 10 self-care Ideas which I practice in order to be the best version of myself ( I know so cliche ) I’d love to hear from you what do you do for you? Don’t be too harsh on yourself. Just do your thing rest all will work out. "Basic but not too Basic Outfit!" "Quirky way to style Pleated Skirt."